One of the benefits of the annual PGA Merchandise Show is having the chance to find unique golf products, ones that separate themselves from the ordinary and usual. In this instance it’s a set of irons the company says reflect that golf is a “gentlemen’s game” with a long history, worthwhile traditions and a heritage deserving of preservation. 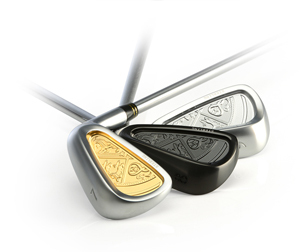 Having these lofty sentiments in mind Sterling England, headquartered in Chelmsford, Essex, created customized irons for the player wanting something out of the ordinary, indeed a player looking for clubs that stand out from the crowd. For American golfers they accomplished this with their latest, the Patriot Series irons. In a word, and if that word can be applied to a golf club, they are gorgeous or perhaps a more sophisticated description would be aesthetically pleasing. In addition to their looks there’s lots of technology and attention to detail in both the design and manufacture. Precision forging of special carbon steel produces heads with an internal grain structure and hardness that give great feel at impact plus the CNC milling of the back cavity also helps with feel and performance. 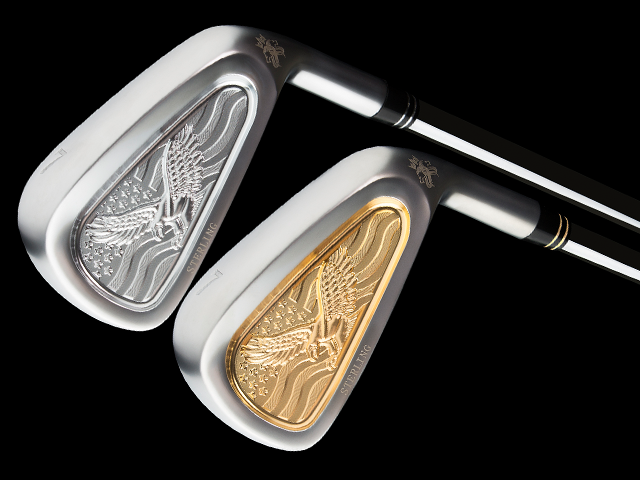 However the most distinctive feature of the Patriot irons is the American eagle design inside the back cavity. Covered in gold leaf, silver or black, it may properly be called a work of art. Sterling England also makes a Sovereign Series of irons as well with the back cavity art reflecting the company’s British roots. Ordering of the Patriot Series irons is possible online at Sterling-England.com, however the company strongly suggests to ensure properly matching your swing it’s best to schedule a fitting session at one the 13 authorized retailers in the U.S. Pricing for an 8-iron set is $2,800 for the silver model, $2,960 in black and $3,000 for gold leaf.